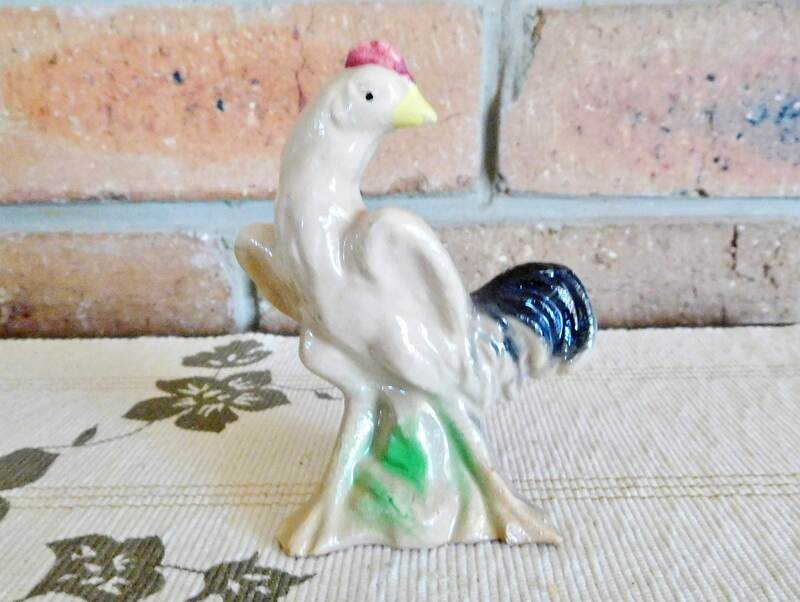 Chalkware rooster figurine, kitsch Japanese collectible, vintage 1940s in good condition though he does show small signs of wear, and has a tiny nibble to his front left foot that is not immediately noticeable and does not detract from his overall handsomeness. 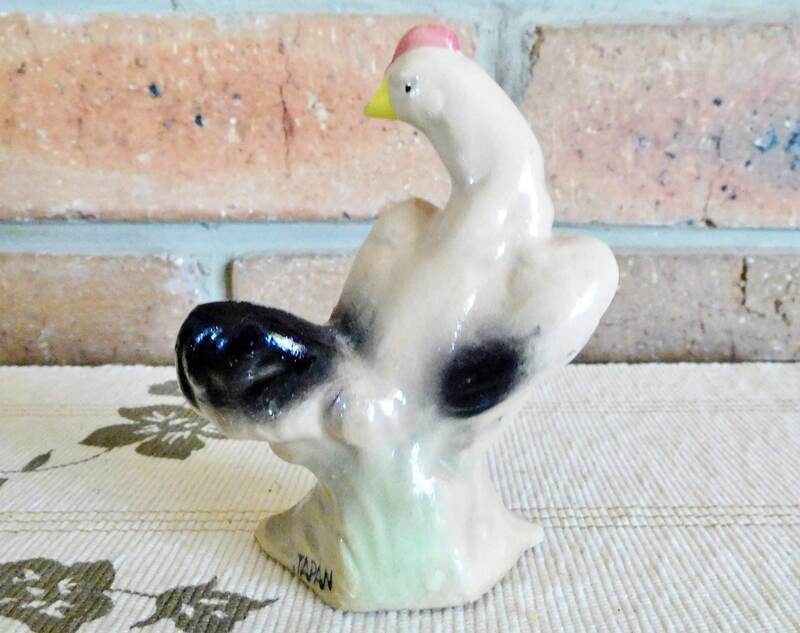 He is a rare little bird who we initially aged to the Victorian era, however the simple ‘Japan’ backstamp puts him at approximately 70 years old. He is 10cm in height.